BoardingArea is giving away a seat to the StarMegaDo4 to two lucky winners. The schedule of the event will take the winner from San Francisco to Houston to Chicago on board a chartered jet. This is the ultimate field trip for frequent flyers. The events will provide inside access and as many tips about points and miles that you can handle. This is one of your chances to get in on the trip for free, courtesy of BoardingArea. 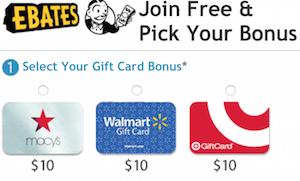 You must reply to this post with your email address in the comment sections to be eligible. Answer the following question when leaving a comment in this official entry post. What is the best travel nugget for a person just learning about traveling using points and miles? 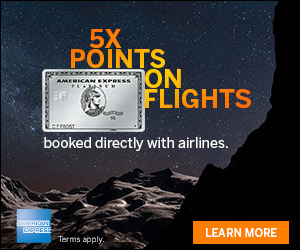 It could be anything from earning points to saving points to traveling better. For additional chances to win, check out the other participating blogs here. The seat giveaway gift from Randy Petersen consists of one economy ticket on the 2012 StarMegaDo4, hotel accommodations at partner hotels, and $250 cash for personal expenses. Expenses not specified above, including, but not limited to ground transportation and incidentals, are winner’s responsibility. Two (2) winners will be chosen in a random drawing on Monday, October 8, 2012 from all eligible entries received during the Giveaway Period, as posted in the comments section of participating BoardingArea.com partnering blogs. The random drawing will be conducted by Randy Petersen, whose decision is final and binding in all respects. The winner will be notified via email within two (2) days after the selection is made. Each winner will have five (5) business days to reply confirming his/her acceptance of the giveaway seat. Failure to reply in the indicated time frame will declare that the seat has been refused and forfeited for all time and the first alternative entry will be chosen in random drawings as outlined above and provided the opportunity to claim the seat giveaway. The full official rules can be found here. *Entrants are limited to one submission per participating blog. If you have some time to kill, check out our Tips & Tricks page for a few travel nuggets. Best point/mileage earning nugget: Understand and pay attention to best practices in churning credit cards. Credit cards are the single most valuable points/miles earning source there is. Best thing to do is keep your credit score high. CC bonuses are the fastest way to a high level of miles. 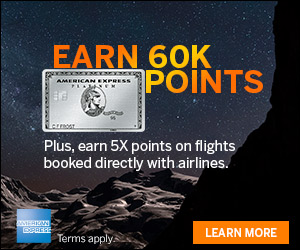 Join all programs and get your points! Credit every single miles. I can’t believe how people forget to do this all the time! Focus on one airline per alliance, and credit all your miles there. Never EVER miss out on free points/miles thinking they are no use for you – as you never know what tomorrow brings! Try to be loyal to a hotel chain and airline alliance, but even if that isn’t possible for one reason or another, but sure to sign up with the programs of every travel prvider you use as you never know how it might come in handy! Those who ask not, haveth not. Not a shockingly original piece of information, but: mile bonuses for new credit cards are the easiest and most rewarding way for most people to earn miles. All your spending should be going to meeting minimum spend requirements for the next big bonus card. Try to have a target award in mind so you can picture the goal in your mind. anything under 3.5cpm – BUY!! !